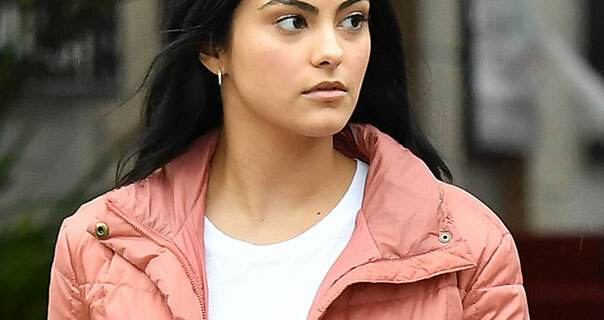 Images of actress Camila Mendes out and about in Vancouver. The American star of Riverdale wears a padded satin jacket and a pair of compression leggings. She appears in the rain in early January 2019.